The Participant identified above (“Participant”) desires to participate (as a team member, coach, mentor, judge, or in some other manner) in the FIRST® Robotics Competition, FIRST® Tech Challenge, FIRST® LEGO® League, Junior FIRST® LEGO® League, or other FIRST program (the “Programs”). As a condition of allowing Participant to participate in a Program , Inscite Illinois (DBA FIRST Illinois Robotics) requires that the Participant (by his or her Parent/Guardian if under 18years of age) agree to the terms of this Consent and Release Agreement. Participant (and the Parent/Guardian of a Participant under 18 years of age) understands that participation in the Program will expose Participant to risks of injury including, without limitation, injury from: building, lifting, and using electrical/mechanical robots and robot components; using tools; other participants; dancing and other associated activities. Participant (and the Parent/Guardian of a Participant under 18 years of age) understands that Inscite Illinois (DBA FIRST Illinois Robotics) does not select, employ, supervise or otherwise exercise authority or control over the coaches, mentors, and other participants in the Program. Participant, if 18 years of age or older, acknowledges and agrees that he/she is primarily responsible for his/her safety. The Parent/Guardian of a Participant under 18 years of age acknowledges and agrees that the Parent/Guardian is primarily responsible for the Participant’s safety and that the Parent/Guardian will monitor, as appropriate considering the age of the Participant and other factors, the Participant’s participation in the Program. In consideration for Inscite Illinois (DBA FIRST Illinois Robotics) allowing the Participant to participate in a Program, Participant (and the Parent/Guardian of a Participant under 18 years of age for and on behalf of the Participant and the Parent/Guardian) assumes all risk of such participation and hereby releases Inscite Illinois (DBA FIRST Illinois Robotics) and (except as expressly provided below) all Inscite Illinois (DBA FIRST Illinois Robotics) directors, officers, employees, volunteers, and agents from any and all claims for any injury of any kind to the Participant (and the Parent/Guardian) or other damages that may occur as a result of the Participant’s participation in the Program, including without limitation any injuries or other damages that may be caused by the negligence of Inscite Illinois (DBA FIRST Illinois Robotics) or negligence of any Inscite Illinois (DBA FIRST Illinois Robotics) director, officer, employee, volunteer, or agent (including without limitation negligently failing to adequately investigate or screen coaches, mentors, volunteers, etc. ), and agrees not to file any lawsuit or otherwise make any claim against Inscite Illinois (DBA FIRST Illinois Robotics) or any Inscite Illinois (DBA FIRST Illinois Robotics) director, officer, employee, volunteer, or agent for any such injury or other damages. The Participant (and the Parent/Guardian of a Participant under 18 years of age) does not hereby release any claims against any individual person who intentionally causes injury to the Participant. Participant (and the Parent/Guardian of a Participant under 18 years of age) understands that photographs, videotapes, and other recordings will be made of participants in the Programs, including the Participant. Participant (and the Parent/Guardian of a Participant under 18 years of age) consents to those photographs, videotapes, and other recordings and the use thereof (i) as part of a record of the Program and (ii) to promote Inscite Illinois (DBA FIRST Illinois Robotics) and the Programs. Participant (and the Parent /Guardian of a Participant under 18 years of age) understands the consent hereby given extends to any and all sponsors of the Programs and such sponsors may use such photographs, videotapes and other recordings for their own respective advertising, publicity, commercial or other business purposes in all markets. 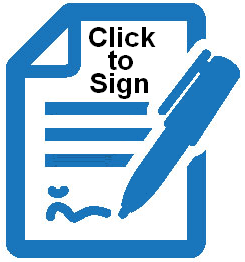 Participant (and the Parent/Guardian of a Participant under 18 years of age) has read this document and understands that this Consent and Release Agreement includes a waiver of the right to make injury claims that is intended to be legally binding. By signing below, Participant (and the Parent/Guardian of a Participant under 18 years of age) agrees to this Consent and Release Agreement. - These fields are required.